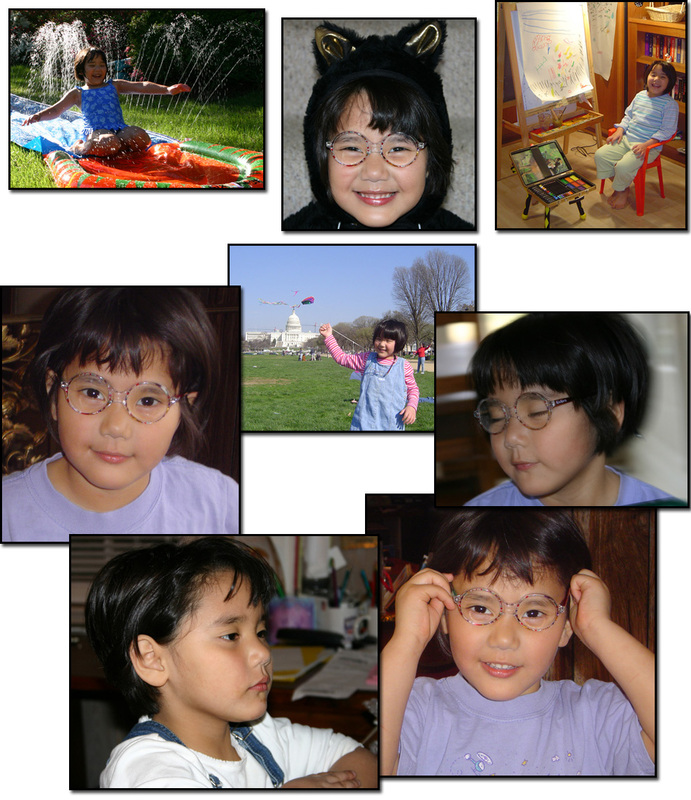 Dana spent a second year at the Center for Young Children (CYC), a wonderful school (3-6 years old) at the University of Maryland. Her interests are evenly split between art, science, dramatic play, reading/writing, blocks, and just about everything there. 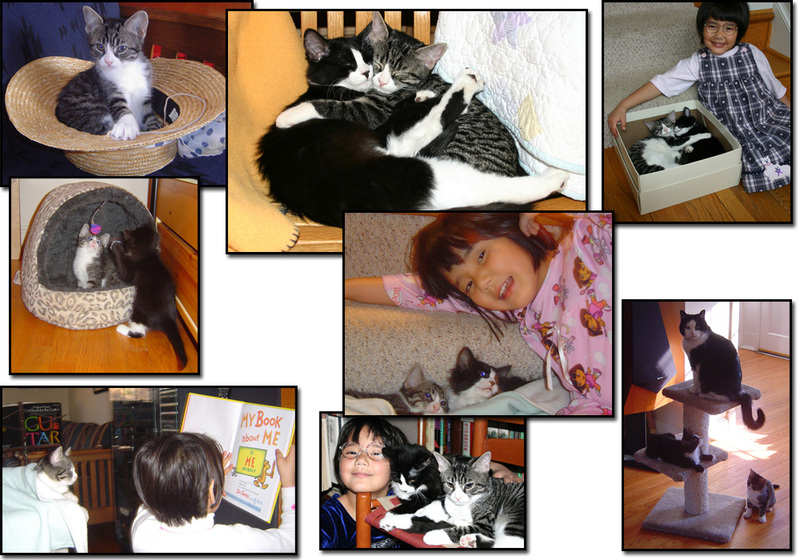 She has made some really great friends - especially Alana (bottom-left). After school, Dana focused on her ballet class - taught by Miss Meryl Shapiro, a wonderful ballet teacher who has a studio attached to her house, and teaches Dana along with about 8 other little girls - culminating in an end-of-year performance with all the other classes at a big old theater. 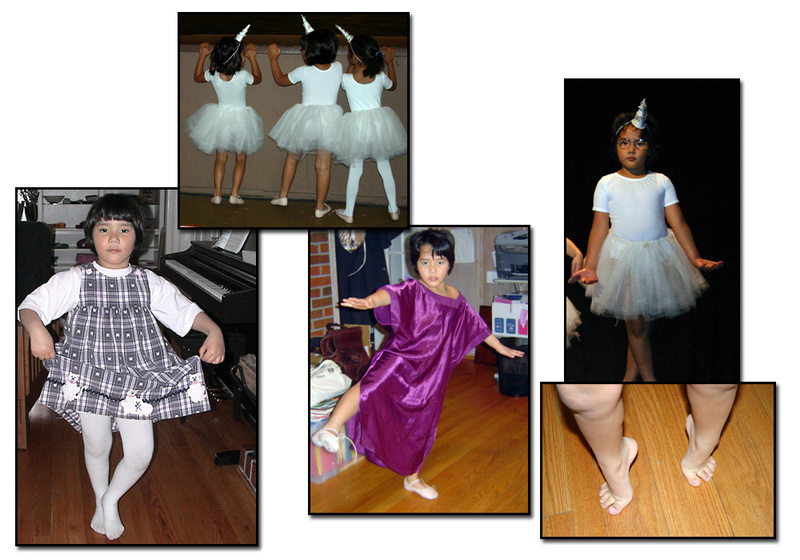 Dana couldn't get enough of ballet, and rarely a day goes by without seeing some evidence of her interest at home. 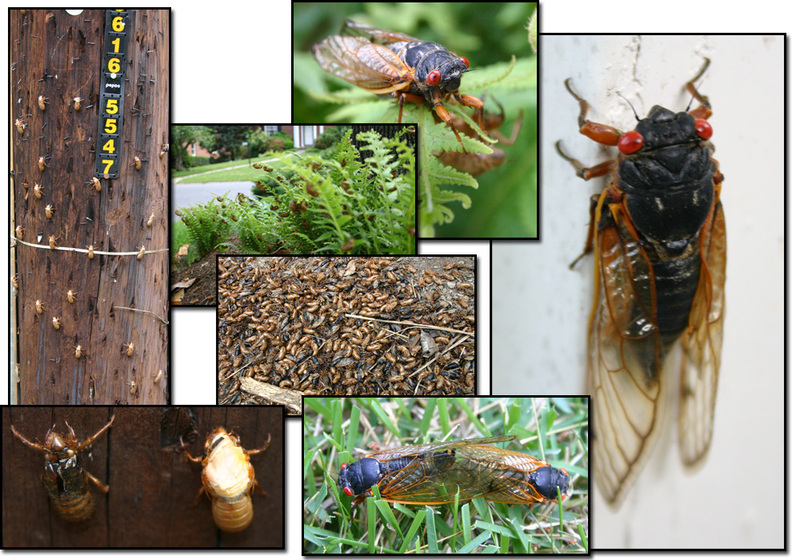 This was a special year for cicadas - the year where the 17 year brood came out in force. After months of discussion in the local papers, they finally started appearing. One day they started crawling out of the ground. Dana was delighted, and we spent a lot of time examining them during the different parts of their life cycle - most of which you can see above: molting, empty shell, live cicada, mating, and washed up after a rain. Dana is the least squeamish among us! 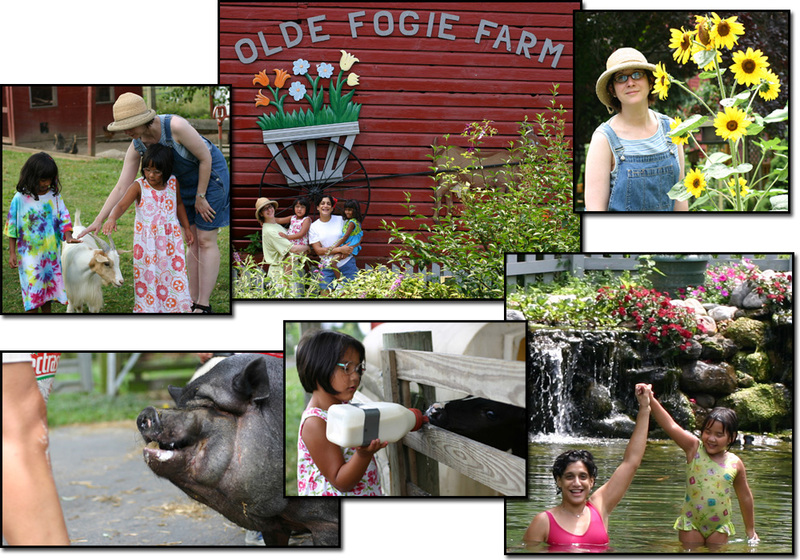 We took our second annual visit to the Olde Fogie Farm, a wonderful family friendly farm/bed & breakfast in Lancaster County, PA with swimming and lots of animals. We went with Dana's friend, Alana and "mommy Roya". In June, Allison and Ben gave talks at a conference in Orlando, so we took advantage of our time there and had Dana join us with our friend Cynthia Solomon. 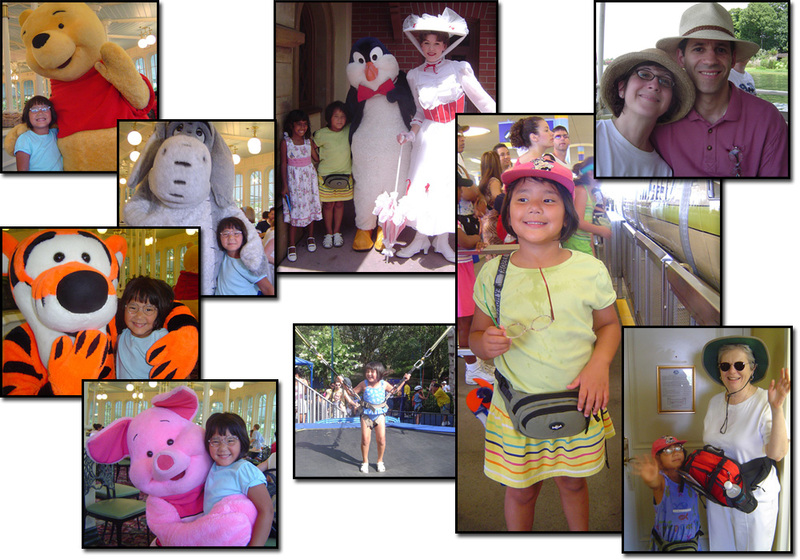 We took an extra few days and went to SeaWorld and Disney World - which needless to say, Dana absolutely loved. 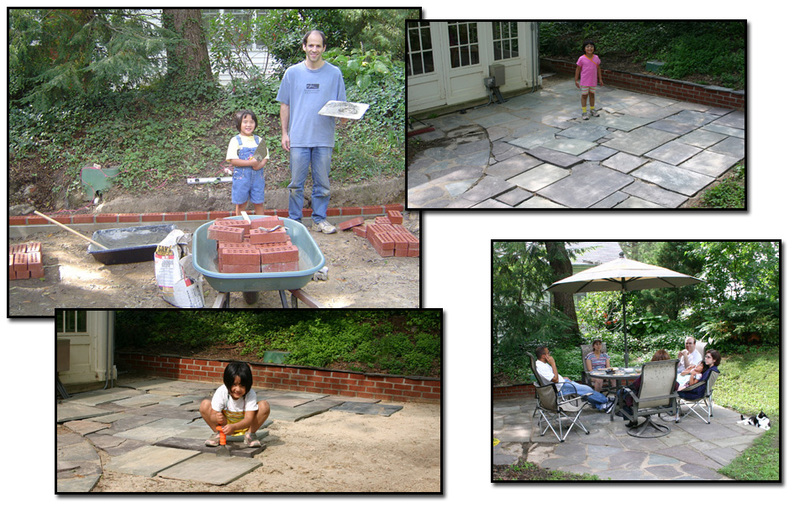 Our house project this year was to build a patio in the backyard. Dana helped Ben - and we learned about digging, brickwork, and stone cutting. All in all, it was very hard work, but a lot of fun - and we are now happily enjoying our new patio furniture! We enjoyed a wonderful 10 day vacation in Windsor during Ben & Dana's second annual summer road trip (Allison joined us a weekend). This was also the annual reunion in Windsor of Ben's "country cousins" - the families of the Berriers and Yohays who live down the road and spent summers up there with Ben while they were all growing up. 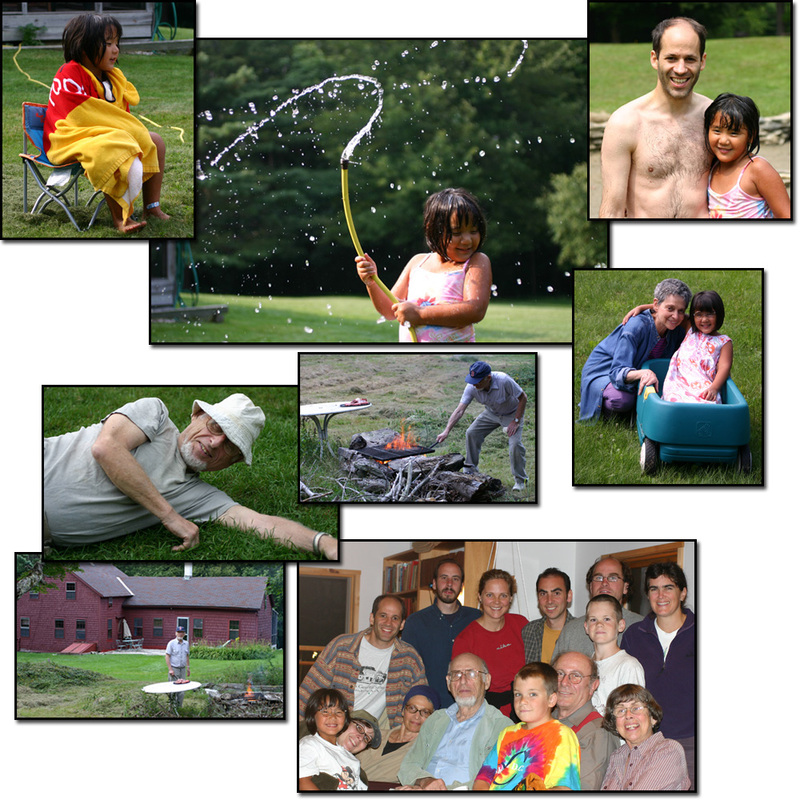 Now of course, there is a new generation of country cousins, and the group is growing! 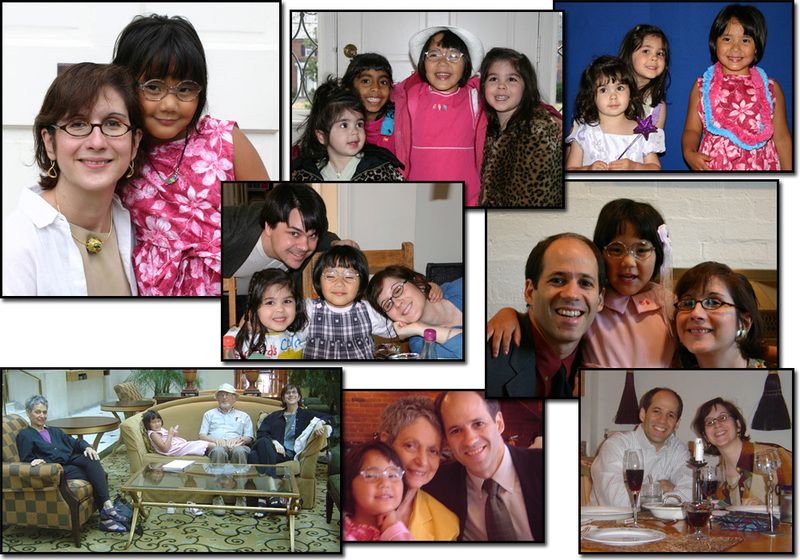 Dana continues to be very social, and is always spending time with family and friends. 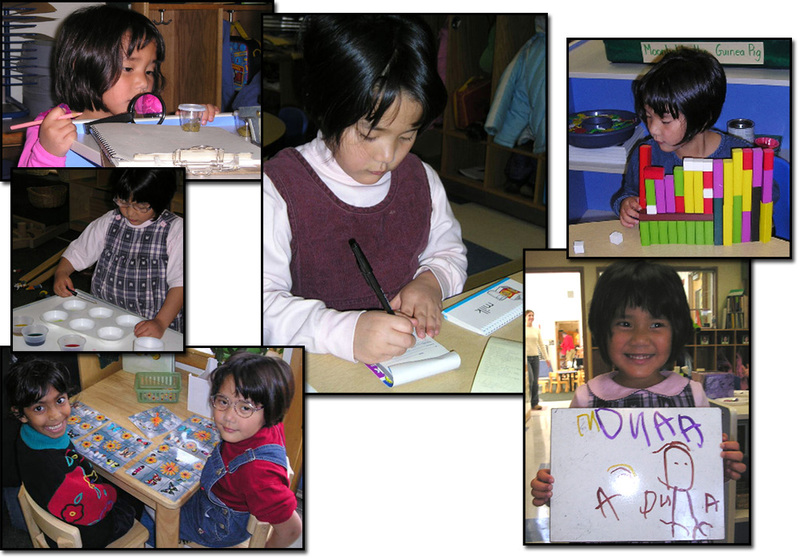 When Dana turned five, we decorated a wooden "Dana" w/ tiles - but first Dana, insisted on posing with it!.